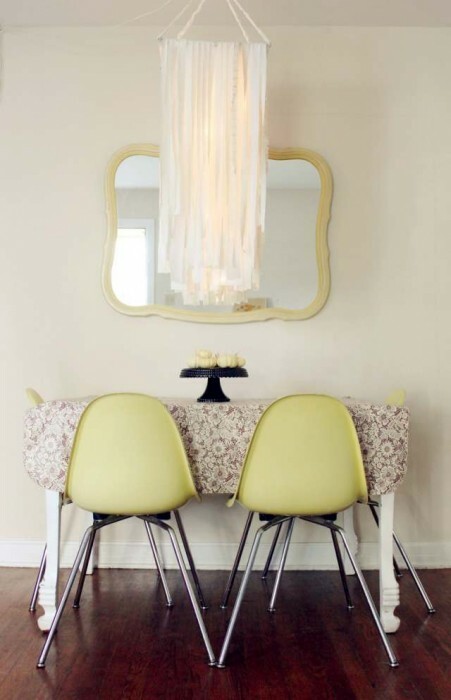 With the right lighting, you can completely transform a room! 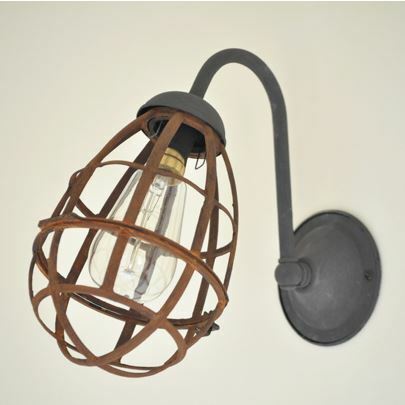 Unfortunately, lighting can be expensive but we’ve found 63 affordable DIY lighting projects that include lamps, pendants, wall sconces, wall decor, and chandeliers. Each project is linked to an informative tutorial so that you can make your own lighting at an affordable price. Looking to spruce up your walls as well? Check out our 8 Cheap Wall Art Ideas! 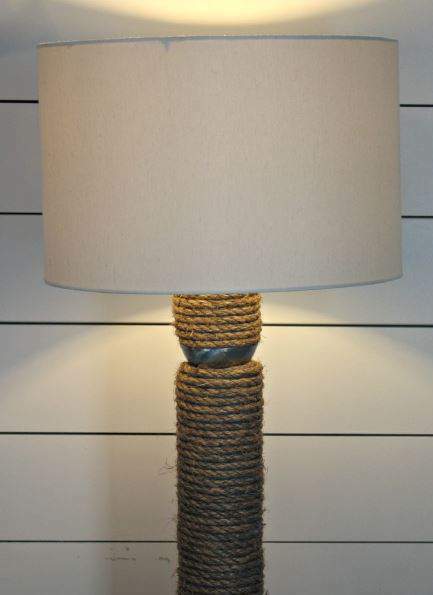 This lamp would be perfect for your rustic or beach themed room. HGTV has a full tutorial here. Crate & Barrel has a popular glass lamp they sell for $199. That’s a lot of money for a lamp but you can create your own for less than half that price and there are a couple different tutorials to help guide you. 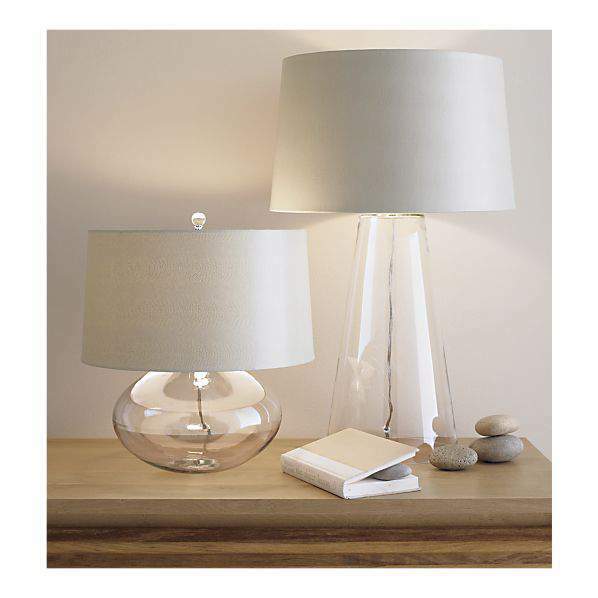 Rocky Bella has a step-by-step guide to help you create your own table lamp here. 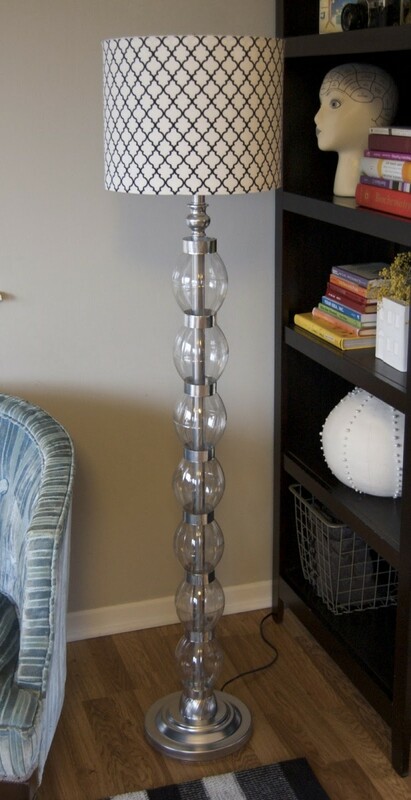 Another blog, The Nester, sorta has a tutorial for a glass floor lamp in the same style here. 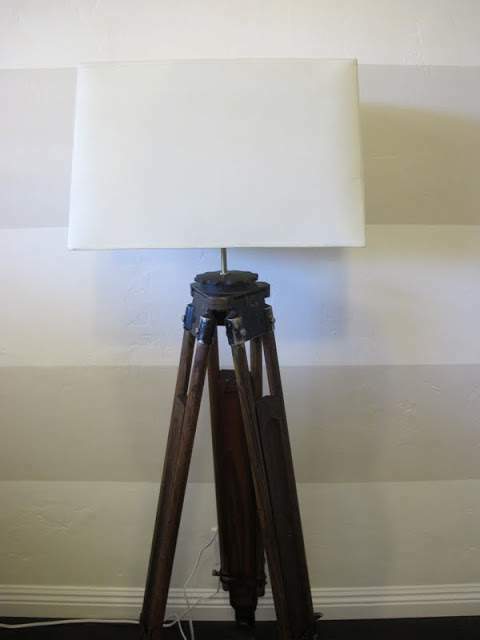 If you have an old camera or telescope tripod you can turn it into a beautiful lamp! Dream Book Design has a complete tutorial here. 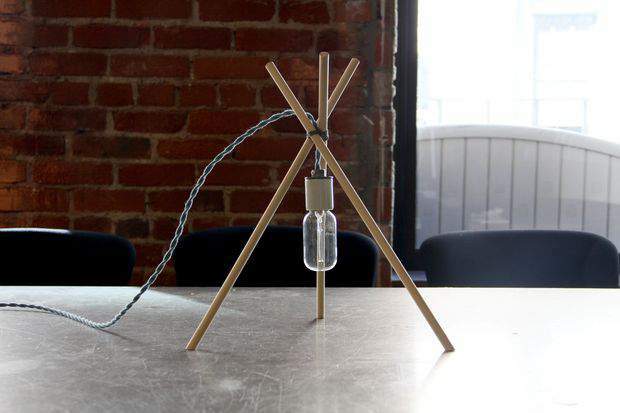 What do you get when you combine a $ 19.99-floor lamp with 2-liter Coke bottles and duct tape? A beautiful lamp, of course! Katie shows you how to create it from start to finish on her blog, Matsutake. West Elm is a popular home decor store because they stay ahead of the trends. 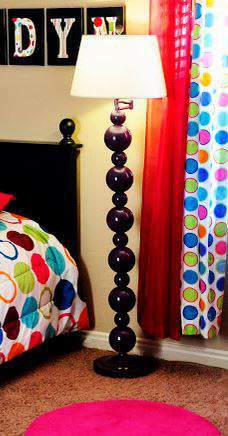 You can too, just at a more affordable price with this lamp. Tiny Sidekick, a really neat home decor, and design blog, provides in-depth instructions here. Have a musician in the family? 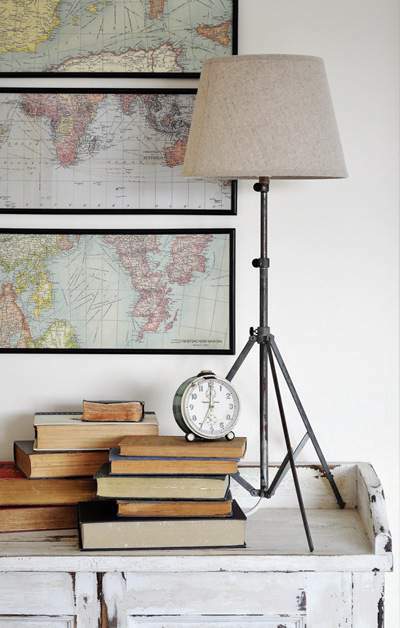 I bet they can help you secure an old music sheet tripod that you can turn into an awesome lamp. 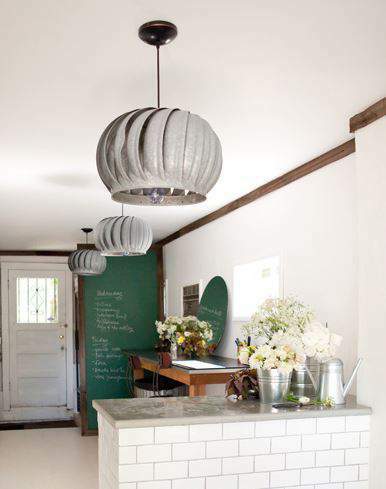 The Painted Hive, a very cool home decor blog out of Australia has step-by-step instructions here. 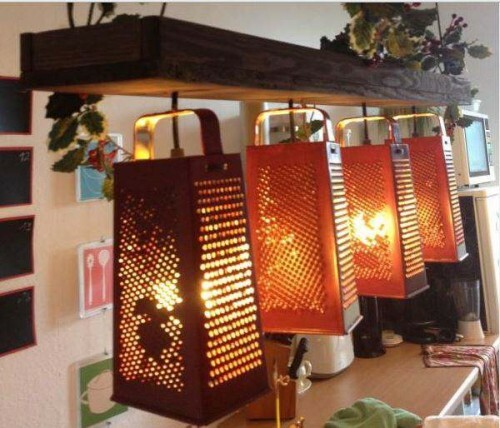 The Painted Hive has several great DIY lighting projects! In addition to the music sheet table lamp above, they also have these great wall sconce updates. Read how to do it here. 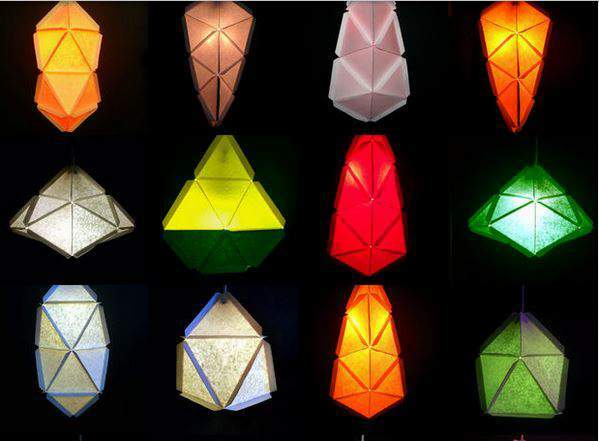 Here’s yet another great light project from The Painted Hive! 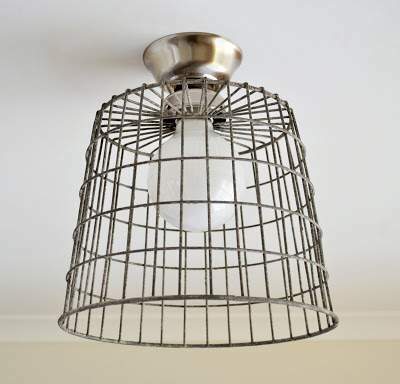 This industrial ceiling light uses an old metal basket and creates a work of art with it. Get the directions here. Better Homes and Gardens always has great ideas! 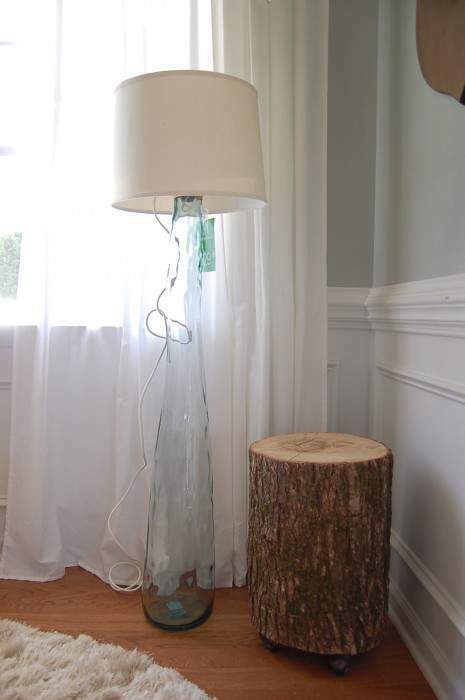 This simple wood floor lamp can be made with just a few basic supplies and tools. Get the instructions here. It’s amazing what you can get by combining a cheap floor lamp, a $1 pool noodle, and rope! The Lily Pad Cottage shares detailed steps here. 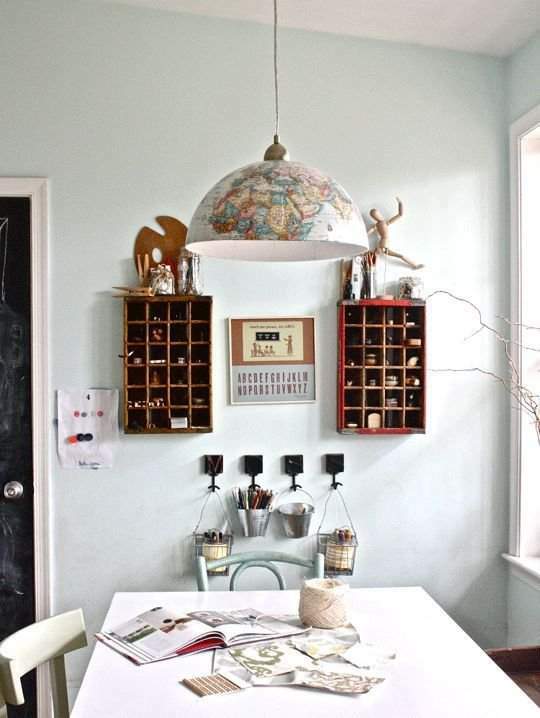 All Things Thrifty is a great blog with, well, all kinds of thrifty decor ideas for your home! 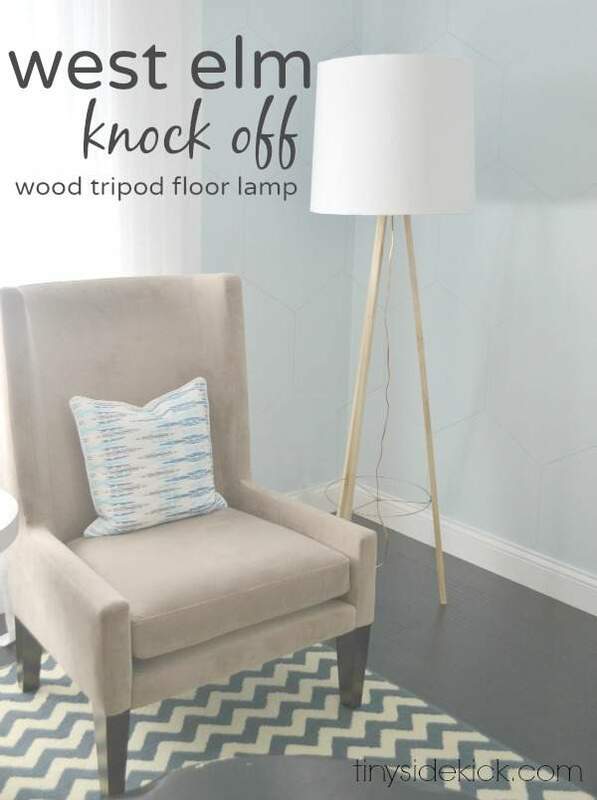 Here’s a floor lamp project that uses Christmas ornaments to makeover a standard floor lamp. 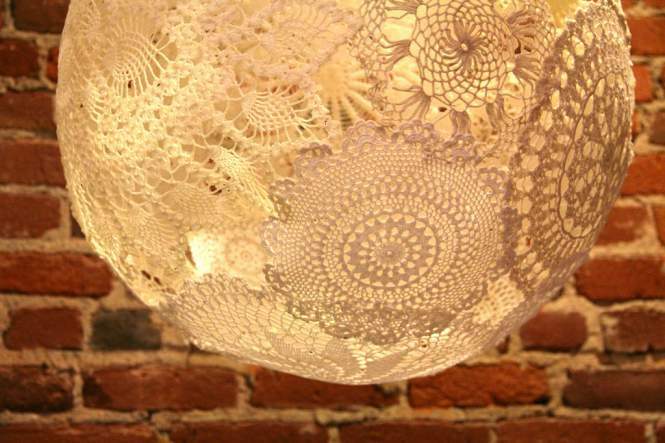 Learn how to create this pretty and affordable lamp here. The talented lady behind All Things Thrifty is definitely one of the best thrifty DIY decorators I’ve seen. Her projects are beautiful and affordable! 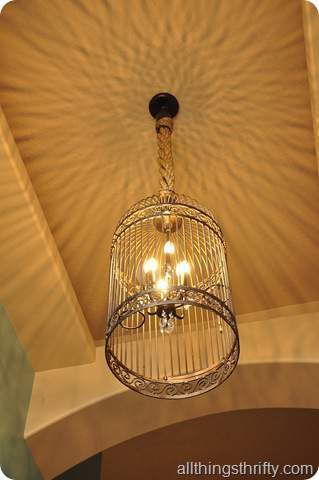 She takes an old birdcage and rope to create a beautiful chandelier for her home. Instructions here. Instructables is one of my favorite websites – there’s an endless supply of DIY projects on every subject. 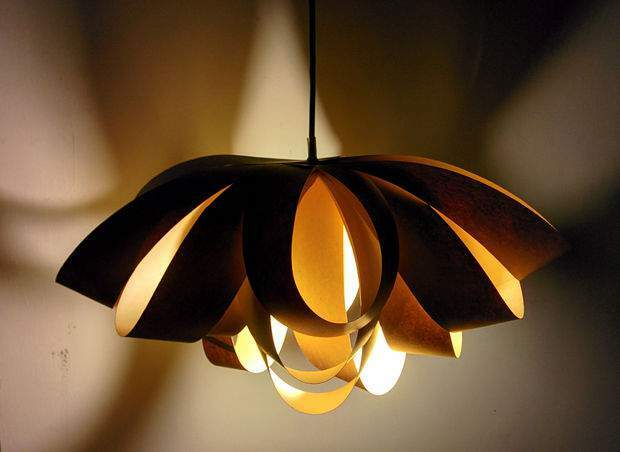 This instructable just happens to show you how to create a beautiful light pendant with paper. Yes, paper! Click here for the instructions. The same guy behind the geometric paper pendants also released an instructable on how to create a decorative bow paper pendant. Here are the instructions. I think every household in America has crutches stored away somewhere (or at least knows someone that does). Why not give them a job and make them more useful? 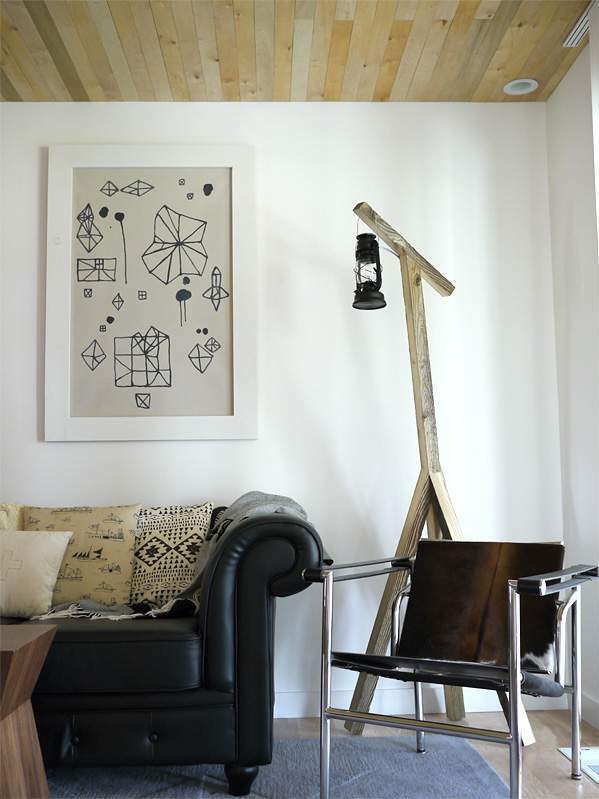 The bog Infarrantly Creative gives a step-by-step tutorial on how to create a floor lamp out of crutches here. It’s awesome! 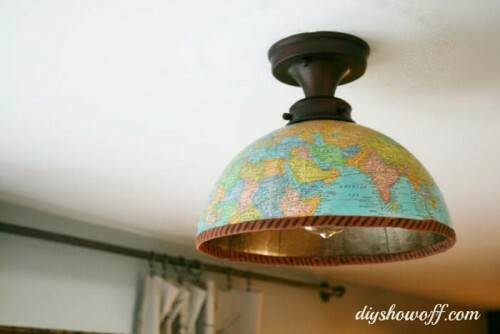 One old globe can make 2 awesome light pendants! Step-by-step instructions here. Apartment Therapy has a tutorial here though it isn’t as detailed. Minimalism is a very popular design trend and perfect for small homes. 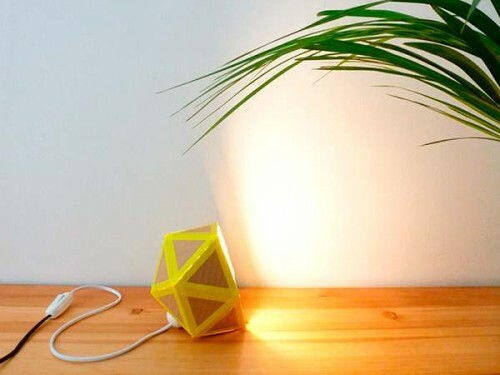 This awesome table lamp is as minimalist as it gets! Get detailed DIY steps here. Pipes are a popular home decor material these days because it’s affordable, handsome to look at, and easy to find. 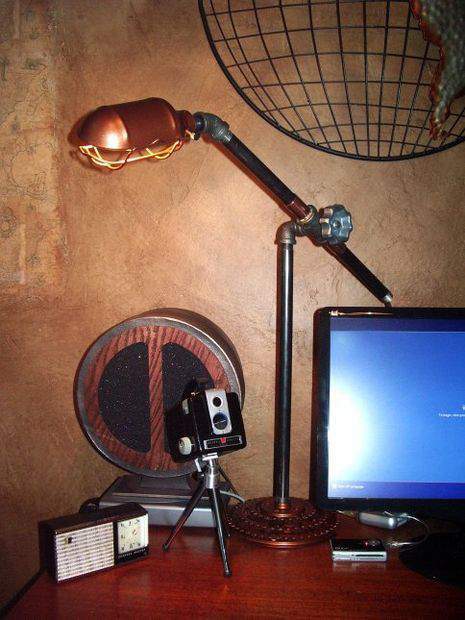 This desk lamp made from pipe and old bicycle parts is nothing short of awesome. Learn how to build it here. 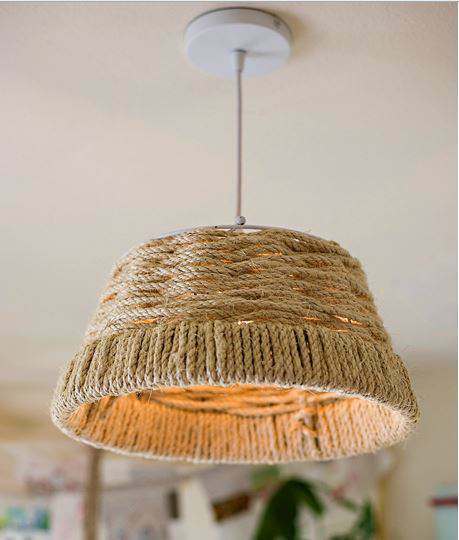 This doily light pendant would be perfect for the popular cottage style home decor. It’s labor intensive but none of the steps are difficult. Learn how to create it here. Another blogger created a similar design here. 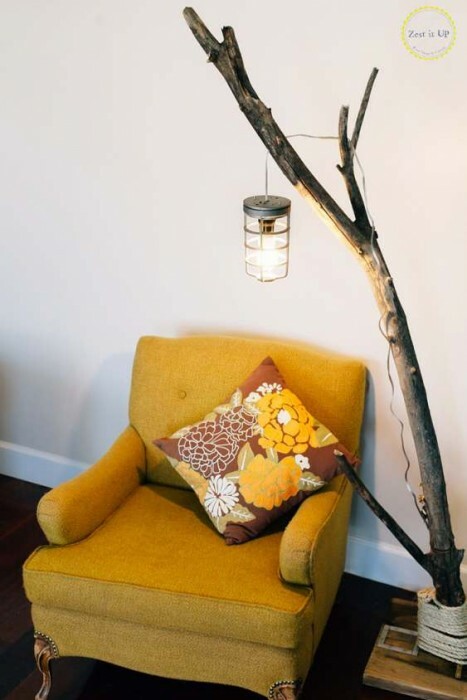 This DIY light would be great for the rustic decor that we all love! It looks complicated but it’s really not – the materials used are easy to find and affordable. Here’s how to create it. 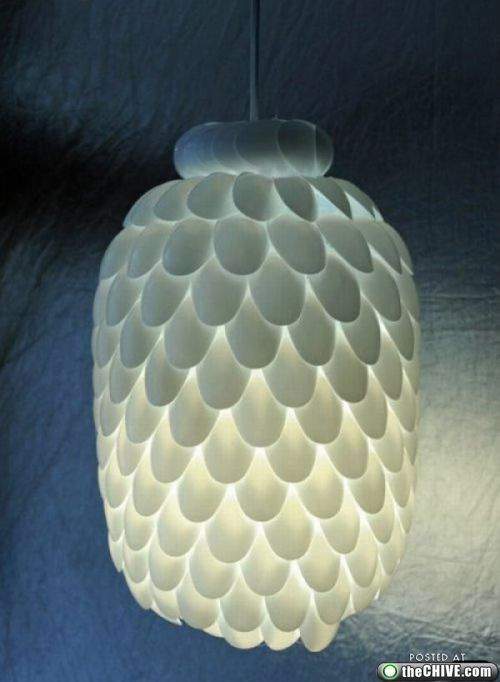 Who would’ve thought to take plastic spoons and create a gorgeous light pendant out of them? The people at The Chive did! Here’s their tutorial. Cardboard is super simple to find and free. You can use just about any design you want but this minimal box design is super cool. Learn how to make it here. This is such a cool light! All you need are strips of wood veneer (available at Lowe’s or Home Depot for less than $10) and a light kit. See all the steps here. 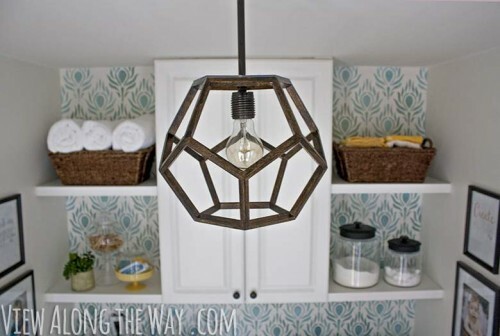 Geometric designs can work in just about any space but it’s especially great for the retro/industrial style. 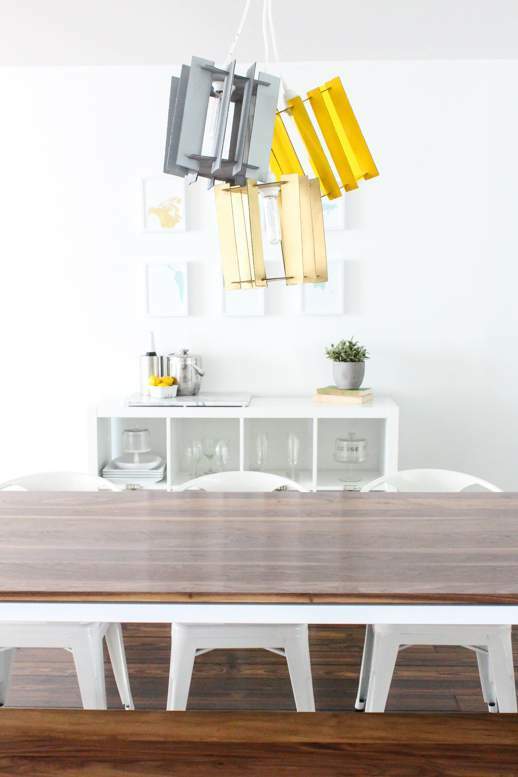 This light is easy to create and makes a bold statement – I love it! Learn how to create it here. This is one gorgeous light and it cost less than $300 to make (compared to thousands it would cost if you bought it out of a store). WOW! Learn how the talented homeowners created it here. Reduce, reuse, and recycle with style. 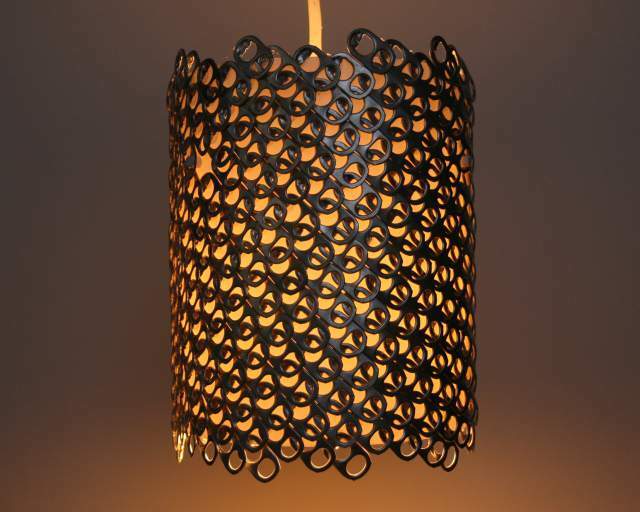 This light pendant is made out of common soda tabs but is so very beautiful. Learn how to make it here. 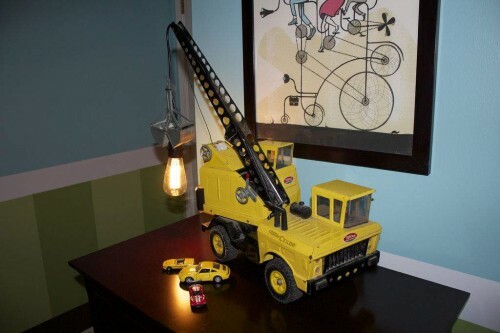 This is such a creative project that is perfect for a kids bedroom. All it takes is some wood, small Christmas lights, and a drill. Get the detailed instructions here. Some people are so talented! 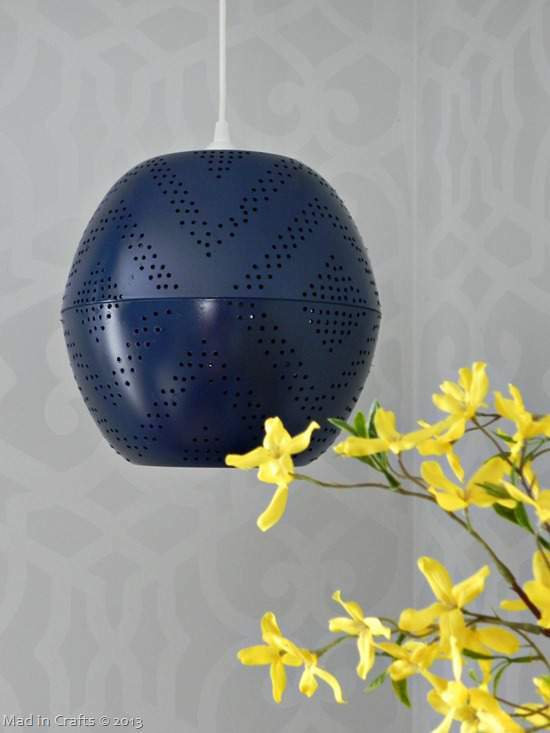 If your space is screaming for a focal point this exhaust fan light could be just what it needs. Details here. What do you get when you put 2 bowls together and add a bit of creativity? An awesome light! Learn how to make them here. Ombre is lovely regardless of what it is used on but it’s especially beautiful on a light. 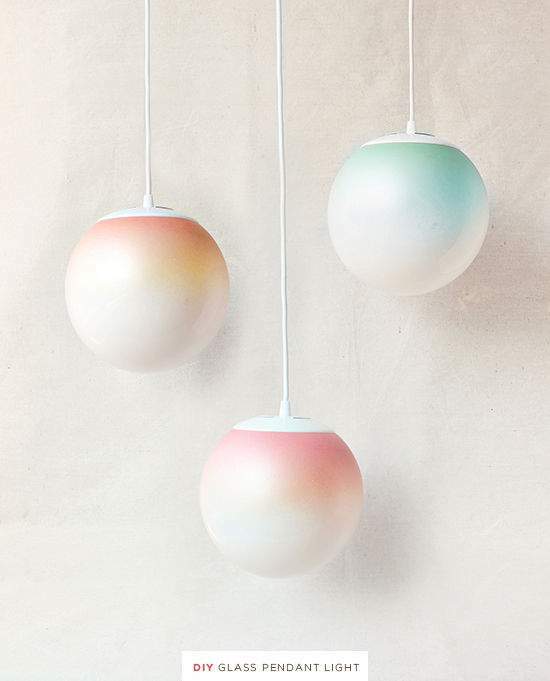 Learn how to take a simple glass globe and give it an ombre effect here. Quilt hoops? Really, quilt hoops? Yes, and it’s awesome! See the step-by-step process here and make your own! 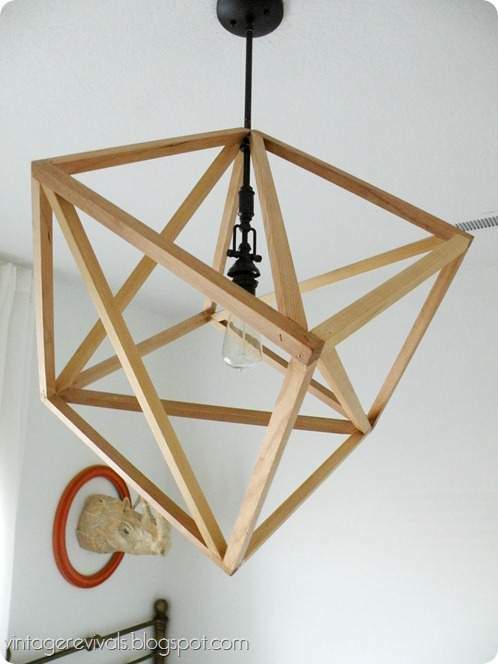 If you have a patience and are comfortable with hand tools and geometry you can make this light pendant yourself. Here’s how. 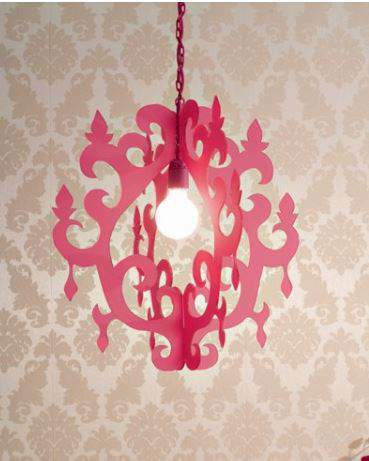 This is a cute chandelier that would work great in a little girls room. Learn how to make it here. 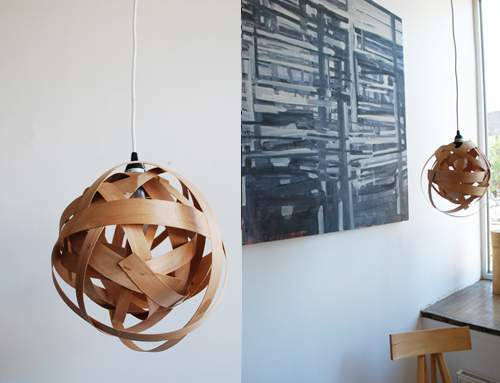 Here’s another minimalist lamp that you can make out of a block of wood. The steps are well documented here. Toys are great to hand down to the next generation but why not turn them into something that can be used a little longer? 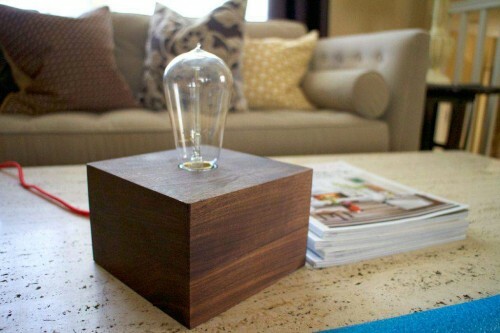 This instructable gives you step-by-step instructions to create your own table lamp. This would be a perfect addition to a photographer’s home! 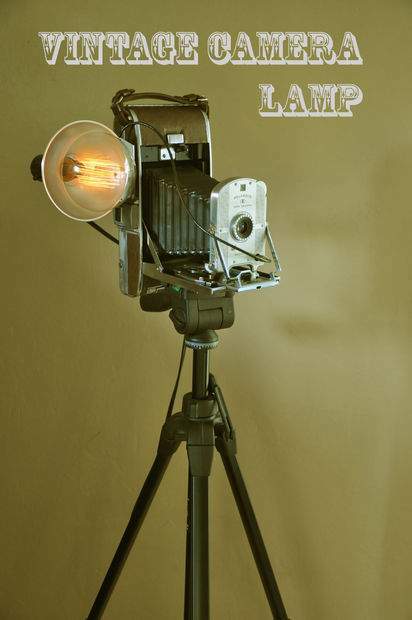 Learn how to turn a vintage camera into an awesome table lamp here. 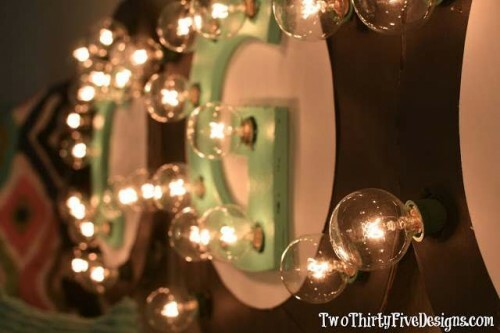 Who knew you could create a beautiful ceiling light out of picture frames? Learn how to make your own here. 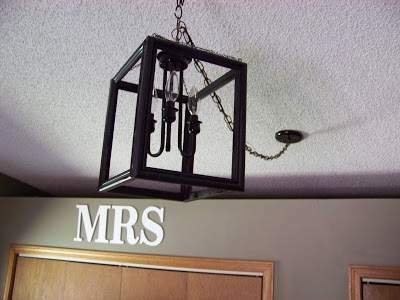 This DIY ceiling light has a LOT of charm. Learn how to make it here. 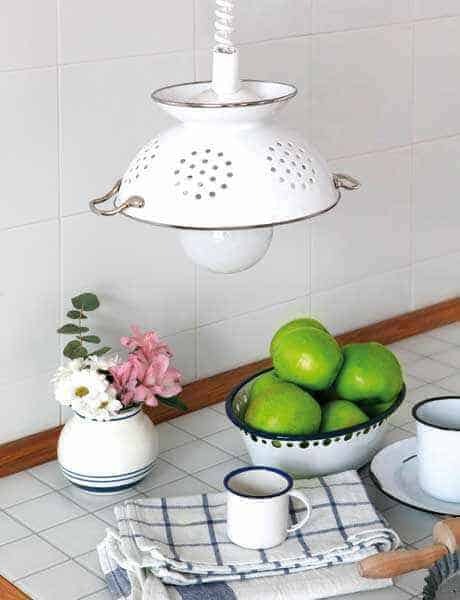 You can add a great vintage appeal to your kitchen with this colander light. Learn how to create it here. 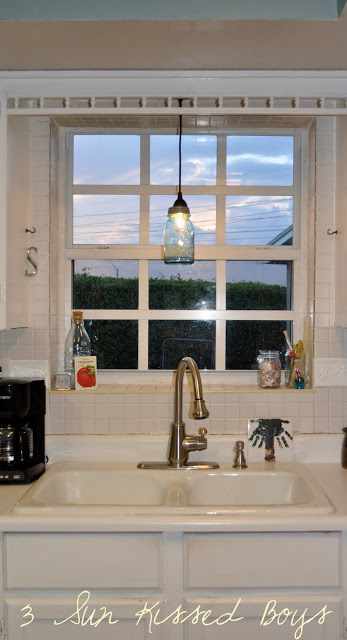 This is a great light for your kitchen made from a single mason jar. See the instructions here. You can do a lot with a simple tin can. 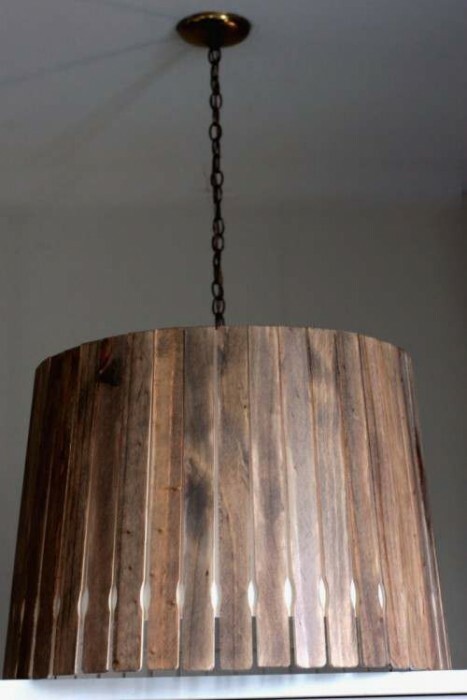 Learn how to create a tin can light pendant here. 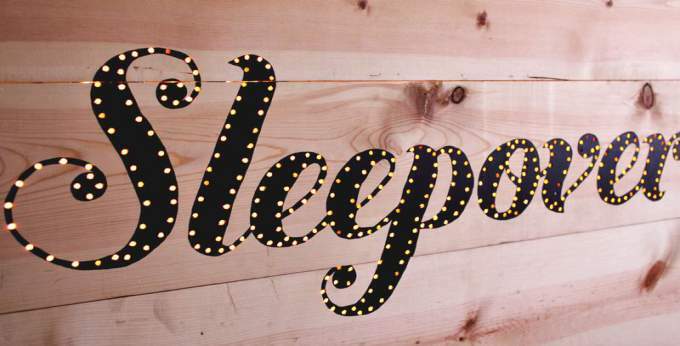 This is a great project for a cottage theme room. It’s affordable and easy to create too, here’s how. 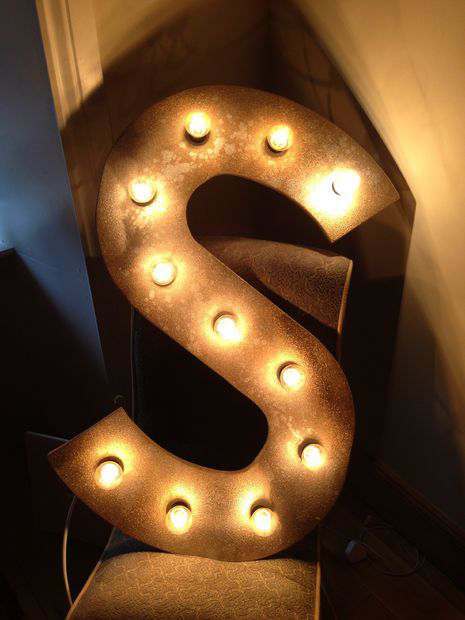 These lighted letters are perfect wall decor for a bedroom. Get the step-by-step directions here. This is a simple project with a big impact. 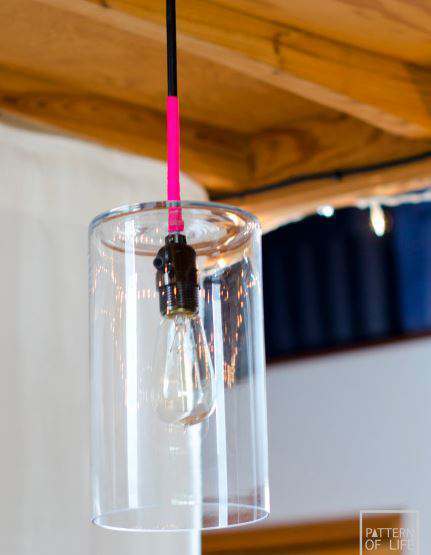 Learn how to use a simple glass vase and turn it into a cool light pendant here. 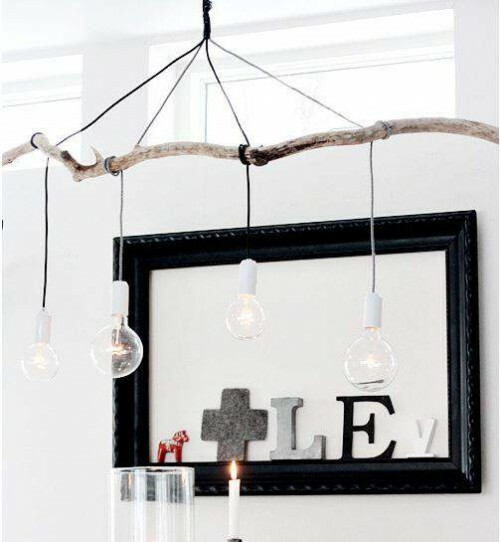 This is a cute project that adds a nice rustic charm to your space. Learn how here. 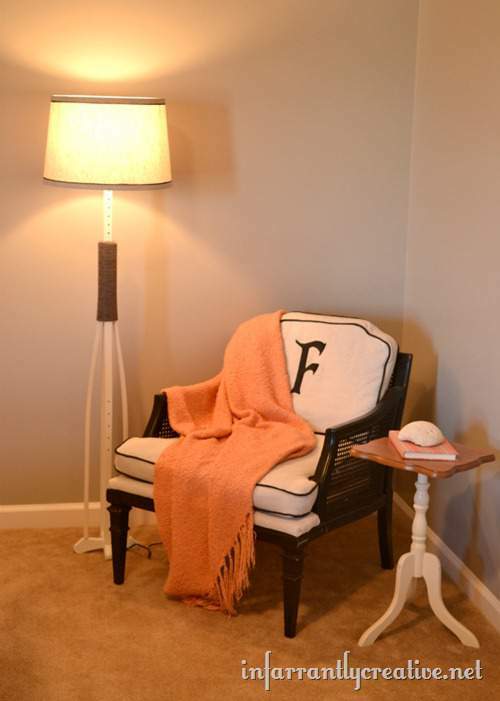 This is a cute lighting project that your whole family can help with. Learn the steps to create it here. 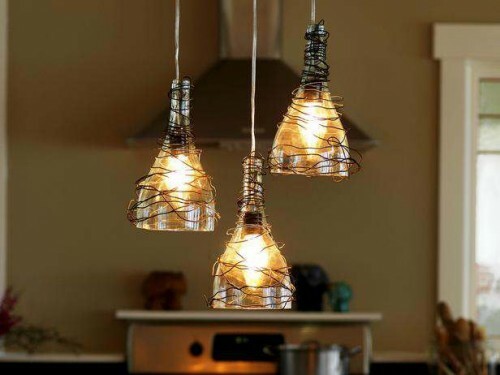 Reusing wine bottles and creating cool lighting pendants with them is a great DIY project. Learn more here. 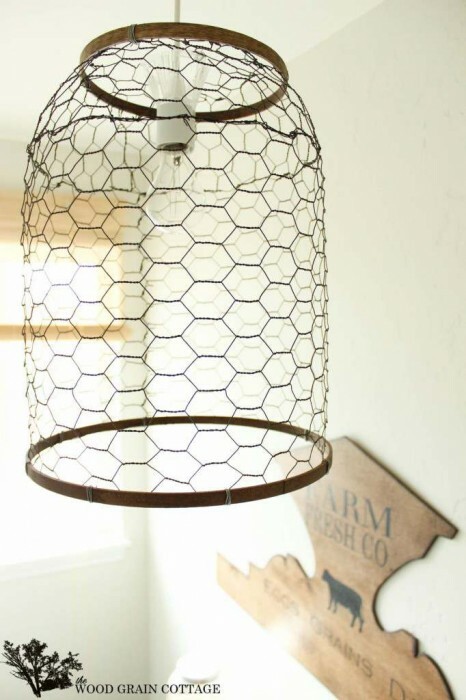 Chicken wire is a great texture to add to a space, especially for a rustic style room. This tutorial tells you how to create it here. This is an easy project and would look great in any corner. Get the tutorial here. These lights are very popular but they are very expensive. With a little know-how though you can make your own in any size. Learn how here. 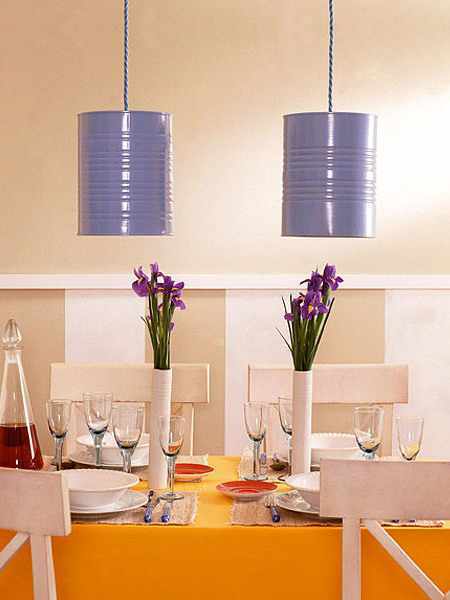 Here’s another great wire basket chandelier project. See how to make it here. 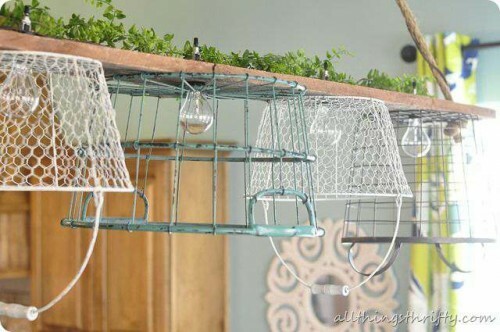 Here’s a cute and affordable lighting project using baskets. Anyone can do it, learn how here. 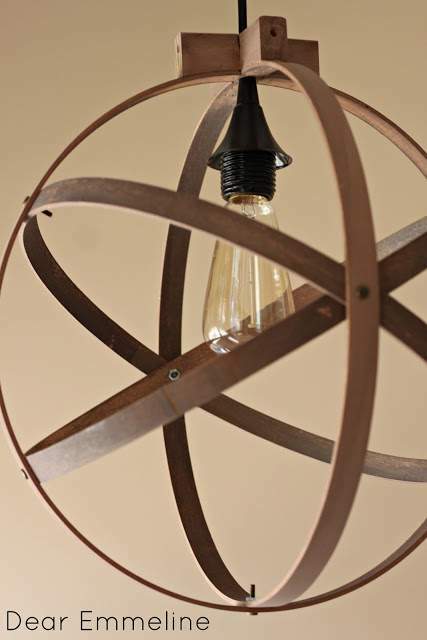 Here’s a different take on the globe light pendants from earlier. This one is a single globe ceiling light cover. Get the directions here. 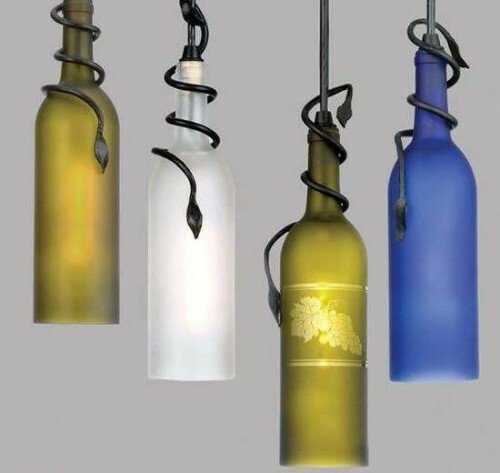 Here’s another take on using wine bottles as light pendants. 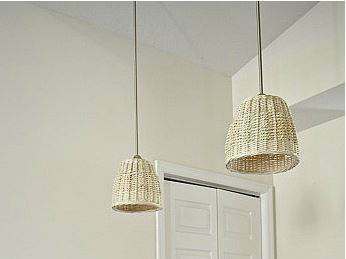 These are cut closer to the neck so they’re great for lower ceilings. Learn how to create it here. This is so cute! 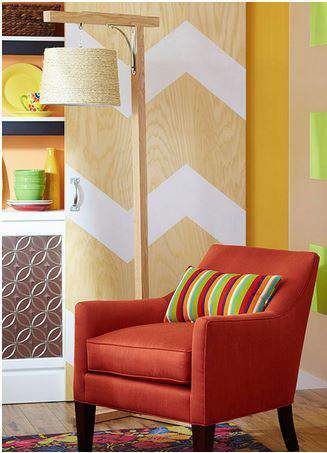 It can be painted or stained any color too so it’s as versatile as it affordable. Get the instructions here. 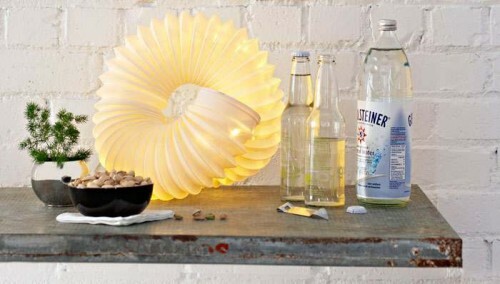 This is a super cute cardboard spotlight or table lamp. The pattern and instructions are available here. 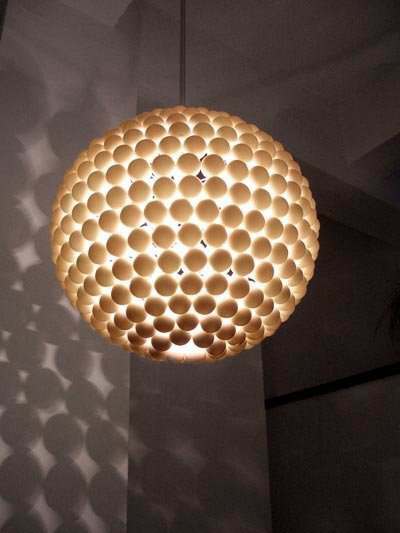 Ping pong balls filter light beautifully so why not use it to create a light? Learn how here! 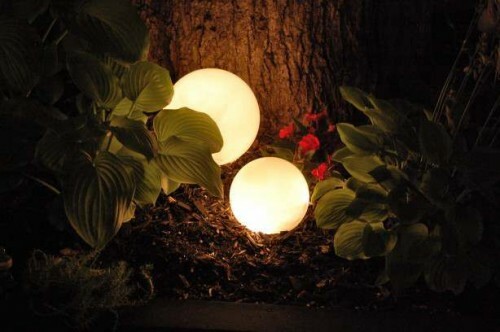 Garden globes are great to illuminate a dark path but they are expensive. Make your own with affordable materials. Here’s how. 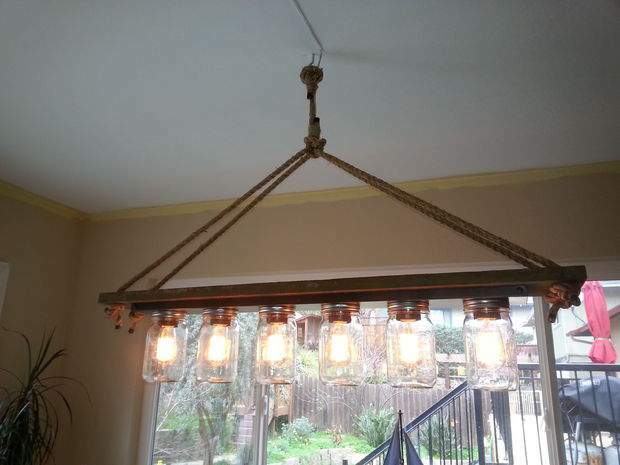 You can use practically anything to create a light fixture or pendant as long as it can stand a little heat from the bulbs and thankfully modern bulbs don’t get as hot as the old ones used to. 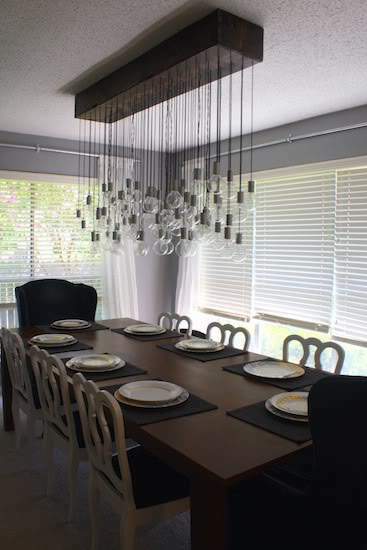 Learn how to create this great grater chandelier here. This is made from a plastic gutter spout! Get the instructions here. 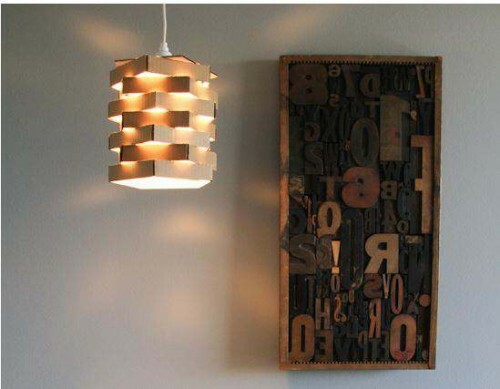 This is another cool cardboard lamp project you can do for any room. Get the directions here. 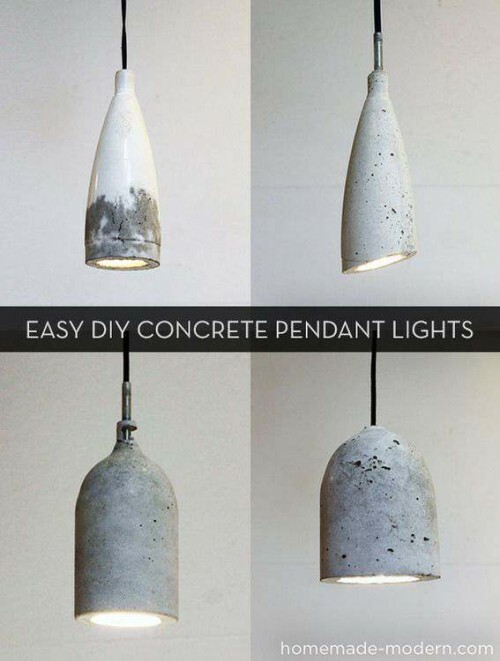 This is made from a 2-liter soda bottle and concrete! Get the step-by-step instructions here. 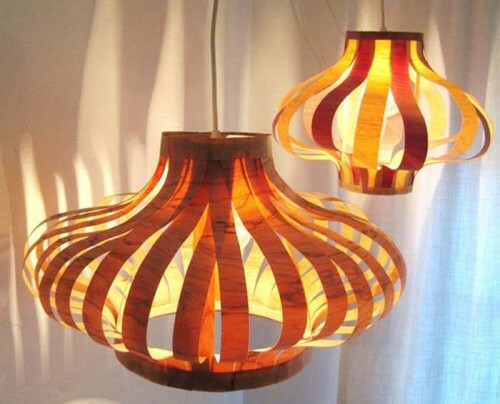 Here’s another great wood veneer lighting project. It’s a bit more complex but if you’re a natural-born DIYer you’ll have no problems! Learn the steps here. That’s it! There’s a style for everyone! 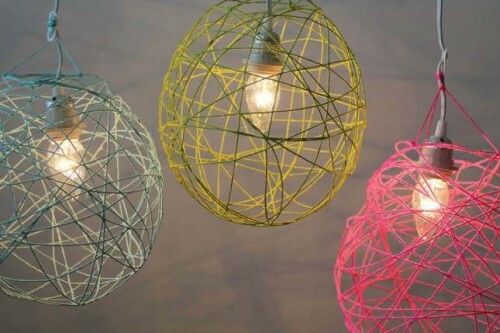 If you do create one of these DIY lighting projects please share it with us! Crystal! You are on a roll this week! My favorites are 18 and 27. And 33…and maybe 60. Thanks Suzanne! I get in moods!